For the Sake of the Bake! What is it about sourdough that can convert a non-baker, like myself, to be overly obsessed with baking sourdough? I am the first to admit that I don't follow recipes, don't read instructions, and never set timers. Baking is just not for me. EXCEPT- for sourdough. I become a different person during bake week! I can become laser focused for days on end tending to three simple ingredients. Maybe its the science and magic of something that is seemingly simple. Whatever it is, I'm enjoying it. Here's some product. That's because you're so good at it! "Beware of bread making. 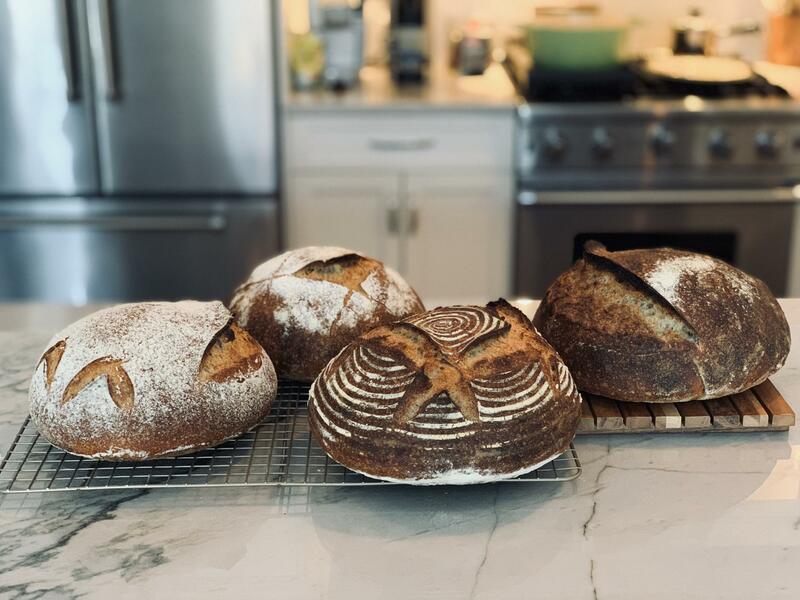 During the winter months it will be especially hard to resist some therapeutic kneading, and a loaf in the oven makes every home seem more snug. But if you like to experiment, you may find yourself trying artisanal breads made with tricky starters. In short order, matters can get out of hand, and you'll find yourself spending more time making bread than you imagined." Ha- love the quote! And so true. I was looking up yeast water yesterday. Totally unnecessary but its cold outside so why not! I haven't used YW yet, but people say it makes for a robust fermentation. People often use it in addition to levain. Gorgeous variety in the look of your loaves. I'd say follow your baking Muse where she leads you.